This is one of my favorite games. 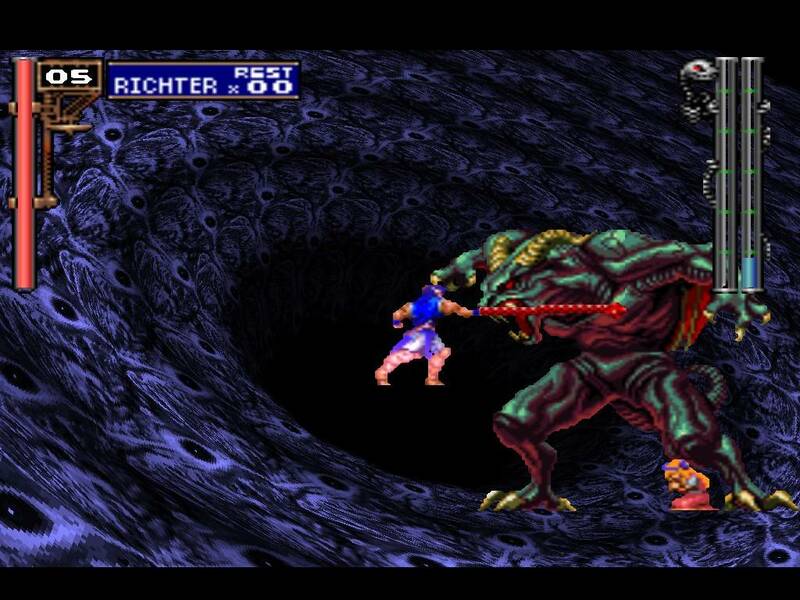 One of the things that has always fascinated me about this game is how the opening sequence is actually the end of the previous game (Devil’s Castle Dracula X Rondo of Blood). It was a great way to re-introduce the series to gamers who might not have played any of the Castlevania games for a few years. 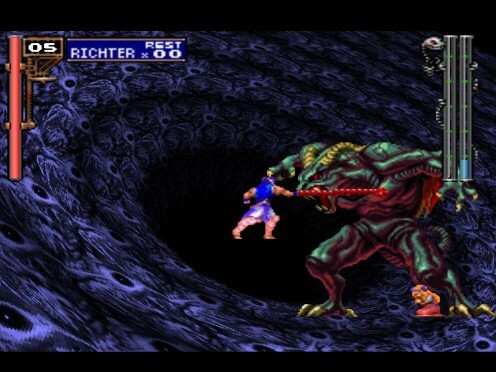 Richter: Die monster. You don’t belong in this world! Richter: Tribute!?! You steal men’s souls and make them your slaves! Dracula: What is a man? (breaks wine glass) A miserable little pile of secrets. But enough talk… Have at you! Dracula: No! This cannot be! ARGHHHHHH!!! A lot of people dump on this game for the voice acting but I think it’s great. At the time of this game’s release, voice acting certainly wasn’t unheard of, but I totally didn’t expect to hear any in a Castlevania game outside of a few heroic grunts. Another common complaint is the music from the end of the game, which is a pop song called “I Am the Wind”. 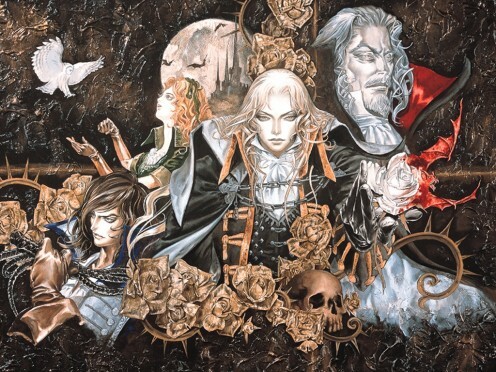 The music of Castlevania is mostly remembered for its rocking songs: Bloody Tears, Dracula’s Curse, Mad Forest, The Theme of Simon Belmont, and Wicked Child. Perhaps it was an anti-climatic ending for some, but I thought the final song in SotN was okay. A bit of a weepy ending but Adrian Farenheights Tepes was the first in a long line of emo Dracula Killers. It was fitting. I thought this game was epic, I would have been happy when I thought I completed it but when the Castle turned upside down to go through even more stages I was blown away!